20316 Loyal Avenue, South Chesterfield, VA 23803 (#1900212) :: Abbitt Realty Co.
***INCREDIBLE RENOVATION THROUGHOUT!!! Brick Rancher on DOUBLE LOT. Offers Large Eat-in Kitchen with Granite Counters, Tile Backsplash and new Stainless Appliances including Smooth Cooktop, Dishwasher, Double Wall Ovens and Refrigerator. Cabinets offer many extras including built-in utensil dividers, built-in cookie sheet dividers, extra deep drawers and pantry cabinet with swing out shelves. 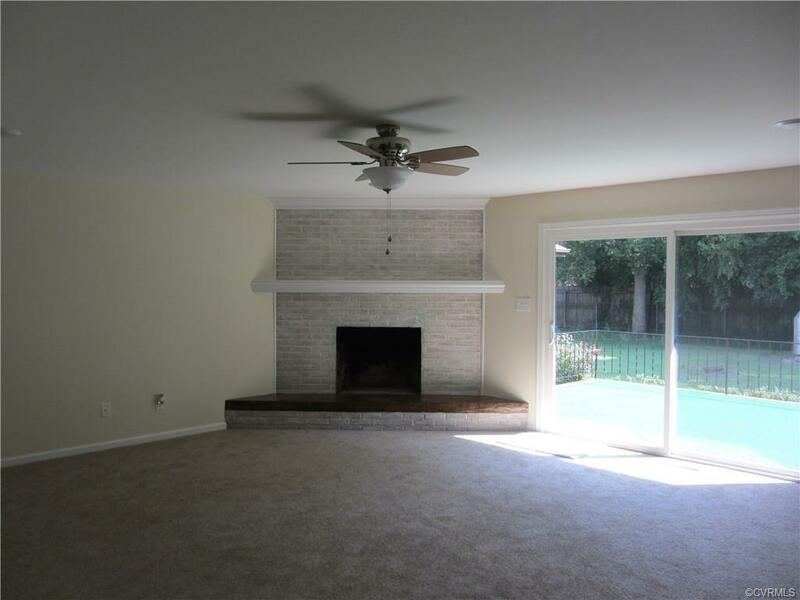 Huge Den with corner Brick Fireplace and new Carpet. Master has Full Bath and Closets galore including a cedar lined closet and built in dressers! Another Bedroom has built-ins, Great for office and still large enough for bedroom. Attached Garage with tons of storage and Oversized Laundry Room with even more storage! 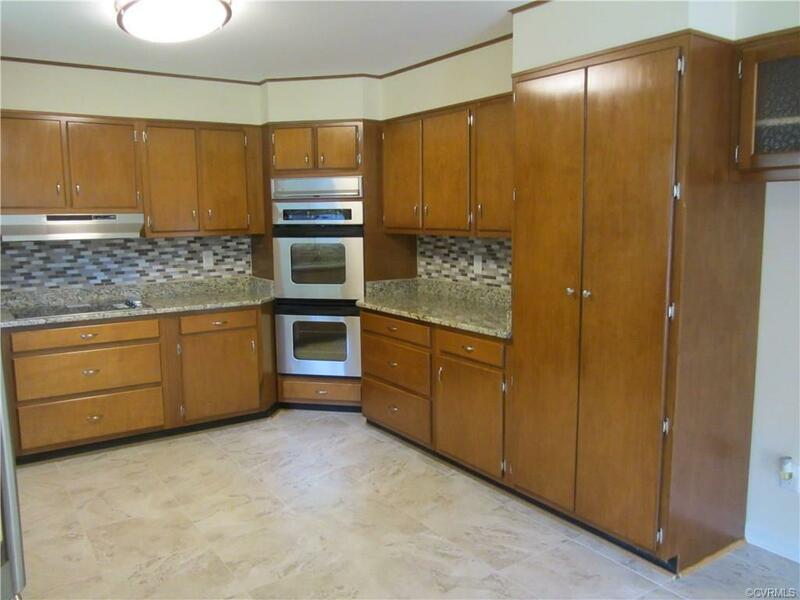 Pantry cabinets with more swing out shelving and oversized cabinets throughout room. 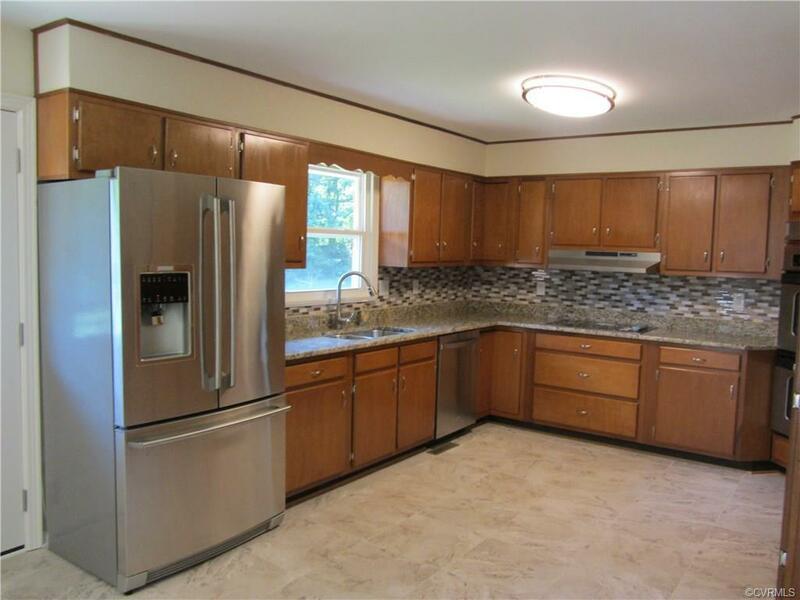 Renovation includes Hardwoods redone throughout, Fresh Paint, New Carpet, New light fixtures and Ceiling Fans, Brick Fireplace resurfaced, New Vinyl Windows, New Vinyl Sliding Door, New Hot Water Heater, refreshed landscaping and so much more! Listing courtesy of Realty Richmond. Listing information © 2019 CVRMLS and CBRAR.